VeChain Recommended – A Choice To Step In Before Rockets! The next big thing could be just around the corner. VeChain [VEN] is the 23rd largest cryptocurrency by market capitalization after passing by 6 coins in just a day with a price increase of almost 600% in the last month. 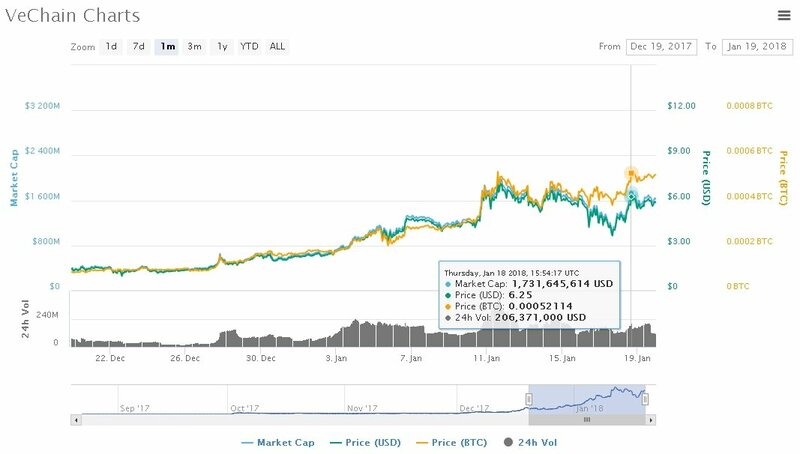 If this is the first time reading or hearing about it – VeChain is a digital currency that is surging its way upwards on the market cap list proportionally gaining in price [just in the last 24-hours 5 percent]. First thing first, the coin launched two-three years ago in 2015 being part of a product that does have actual users right now. In the community and ecosystem we enthusiast about maybe everyday that is rare to meet. The firm backing up the digital currency is a BaaS company [Blockchain-as-a-Service] targeting on developing towards the IoT [Internet of Things]. Might sound similar to IOTA [MIOTA], however unlike the later one – VeChain is on the authenticity within supply chains terms. The idea is that, by using blockchain technology, the authenticity of goods that are purchased can be verified. It’s a system that aims to ensure product quality, but in a decentralized, global network that cuts across industries. Using smart chips, products are tracked throughout their lifecycles. The chips can also help with quality control, like with agricultural or food product where a change in temperature could affect the goods. As explained above, being a functioning product makes VeChain a good choice to go for investing and diversifying your wallet. It is being used by giants that makes our take on the coin even more stable. Even if you ignore the price rally over the past month, the deals and development that the company backing up the coin has hit make it even more convincing. Renault is a good example. The automotive giant is using VeChain (VEN) for its automotive supply chain. The biggest luxury wine importer in China, Direct Imported Goods, is also putting its products on this blockchain. On top of that, they partnered with PwC back in May 2017 to work together on ramping up blockchain use in South East Asia. 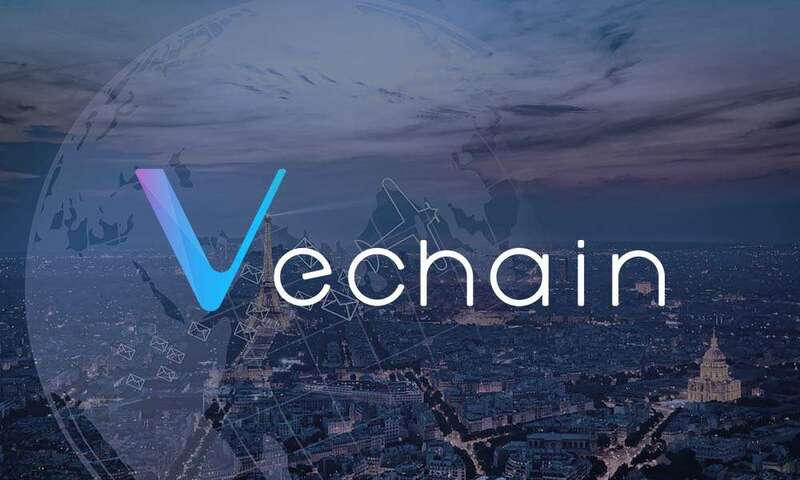 But a big confidence and positive energy hoisting factor for VeChain enthusiasts would be the endorsement from a powerful investor. The CEO of Breyer Capital – Jim Breyer, did add out that VeChain tokens are in his portfolio laying. Being a Chairman of the Advisory Board of Tsinghua University School of Economics and Management which include even Jack Ma and Tim Cook, makes one understand that Breyer does know the Chinese market and what should be stepped in.